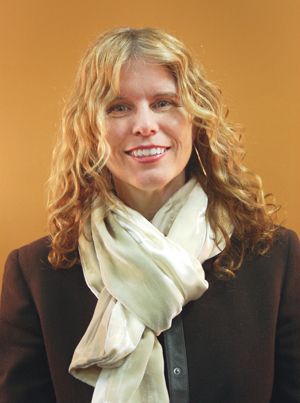 AUGUSTA, Maine — Maine is likely on the hook to refund the federal government for erroneously providing Medicaid benefits to roughly 19,000 people, according to Department of Health and Human Services Commissioner Mary Mayhew. DHHS is still trying to attach a dollar figure to the bad payments, incurred over the last year and a half. A computing problem led the department’s Medicaid program, known as MaineCare, to continue paying medical bills for some beneficiaries after they became ineligible for the program. The federal government pays for roughly two-thirds of MaineCare’s costs. Mayhew said she was told about the eligibility problems in late January but the scope of the problem wasn’t clear until she was briefed on the full magnitude of the problem last Thursday. The computer system that pays MaineCare claims has been plagued with problems since its launch in 2010 under the previous administration, she said. The system never was designed to “talk” to a separate system that tracks eligibility, which is now more than a decade old, Mayhew said. Beginning in September 2010, 19,000 MaineCare recipients were sent letters notifying them that they had lost eligibility. Recipients can lose coverage for a variety of reasons, such as rising income or signing up for private insurance. MaineCare recipients can cycle on and off the program regularly as their personal circumstances change. The MaineCare cards remained active for those ineligible recipients so they could still visit the doctor and receive other medical services, even on multiple occasions. Health providers who received the mistaken payments had no way to know those patients no longer were eligible, Mayhew said. Efforts over the last couple of days to make real-time fixes to the system have failed, she said. The claims system also has trouble communicating with other computer systems within DHHS, Mayhew said, making the mistaken payments a symptom of a much broader problem. “It’s part of a larger challenge we face,” she said. The payment error has cast doubt over state budget figures barely two weeks after Republicans and Democrats reached uneasy agreement on closing a $120 million shortfall in DHHS this year. Lawmakers are still trying to resolve another $80 million gap for the next fiscal year, and it could be weeks before they know the financial impact of the erroneous payments. DHHS staff knew of the problem in January, when lawmakers were in the heat of budget talks, but never spoke up, said Rep. Peggy Rotundo of Lewiston, the lead Democrat on the Legislature’s budget-writing committee. Mayhew said she’s equally frustrated that the problem wasn’t brought to her attention sooner. “At no point was this identified as an issue that needed to be better understood as a potential factor in our shortfall,” she said. Mayhew said her department is combing through its records to nail down the full scope and impacts of the erroneous payments. She also plans to analyze how the project was managed and the department’s overall communications structure.